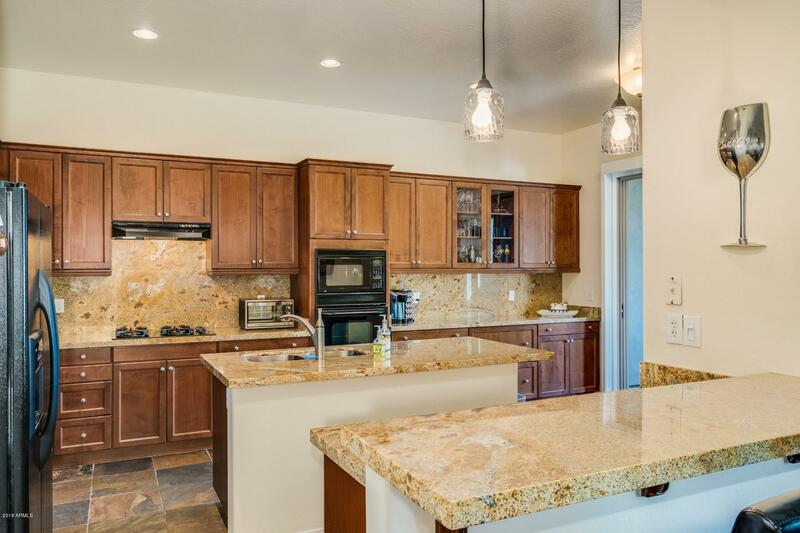 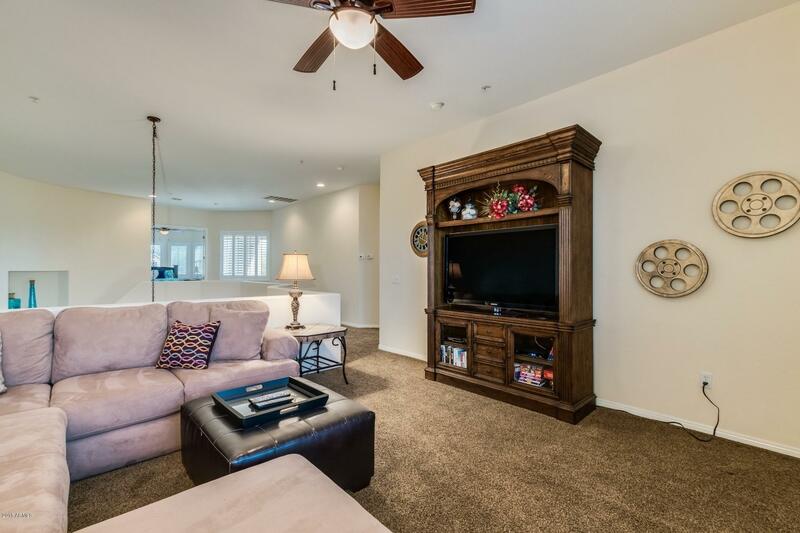 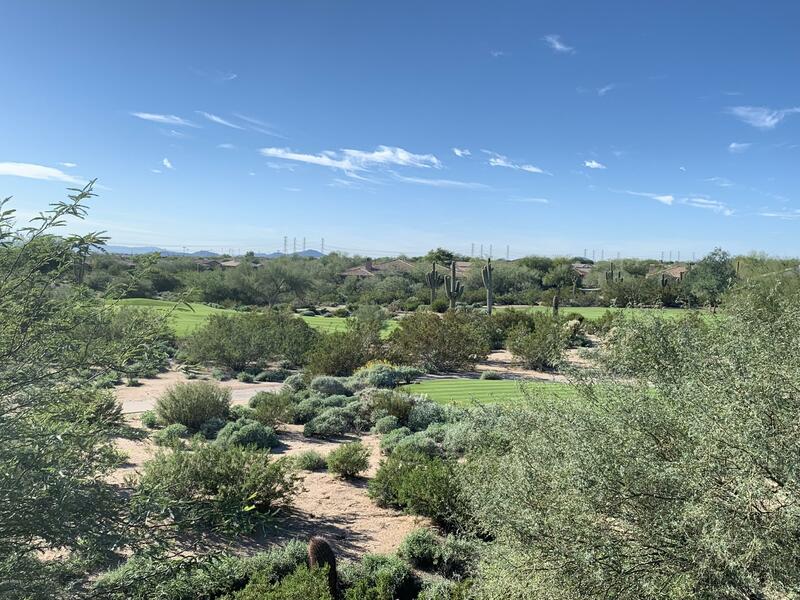 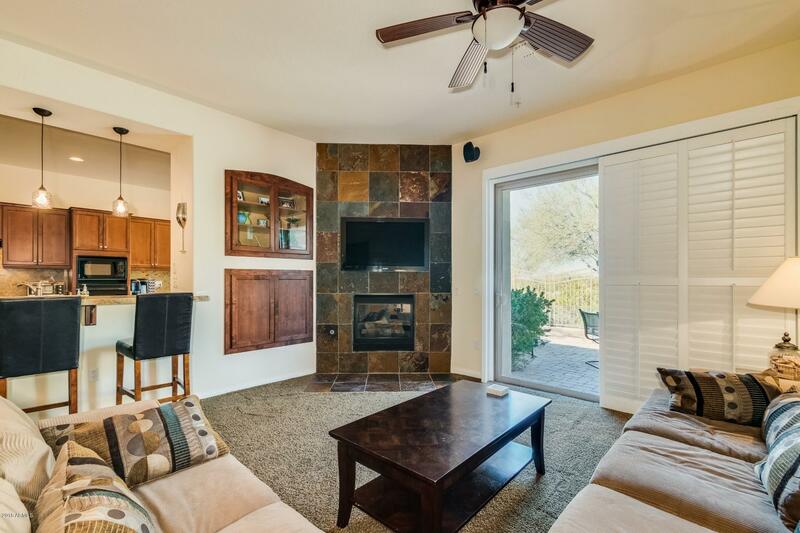 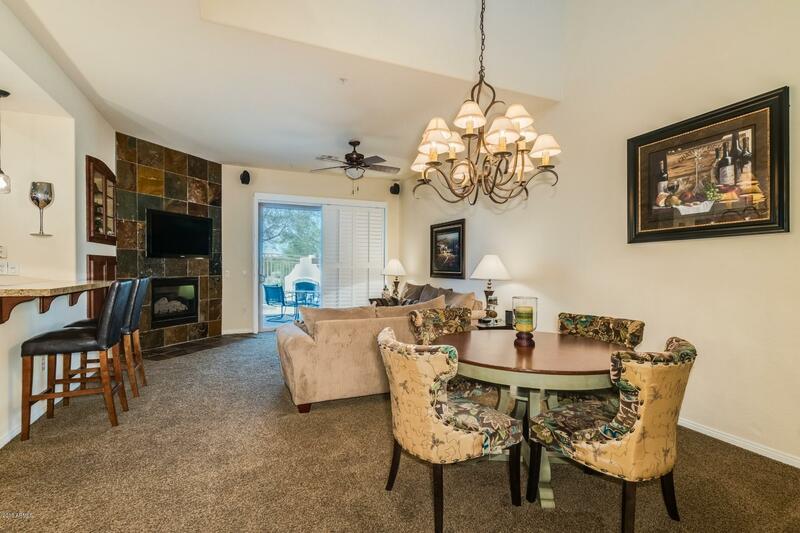 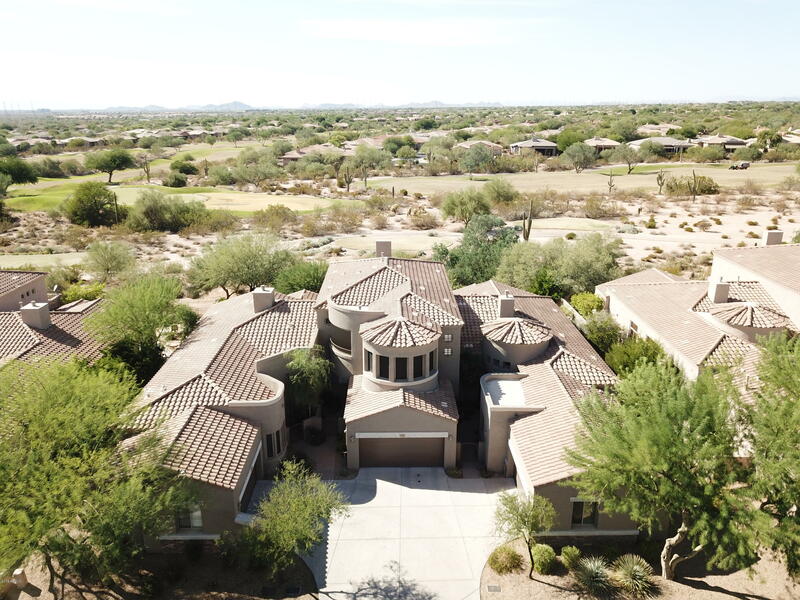 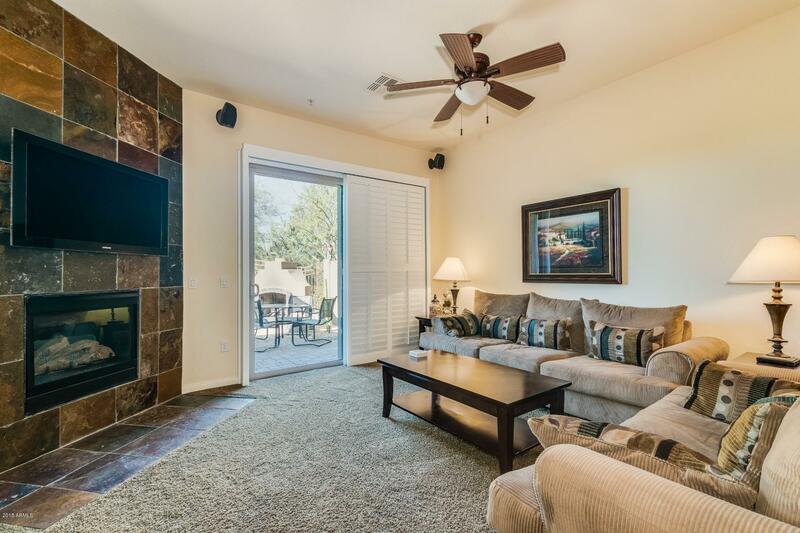 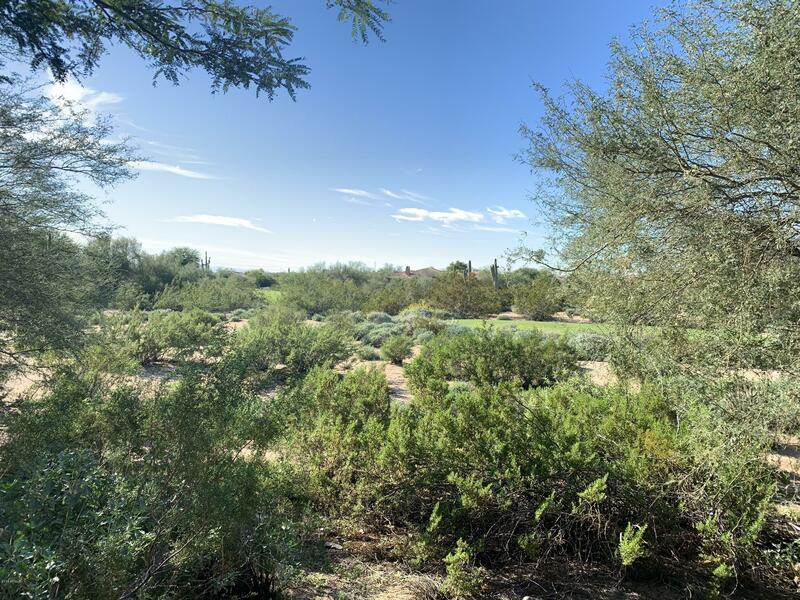 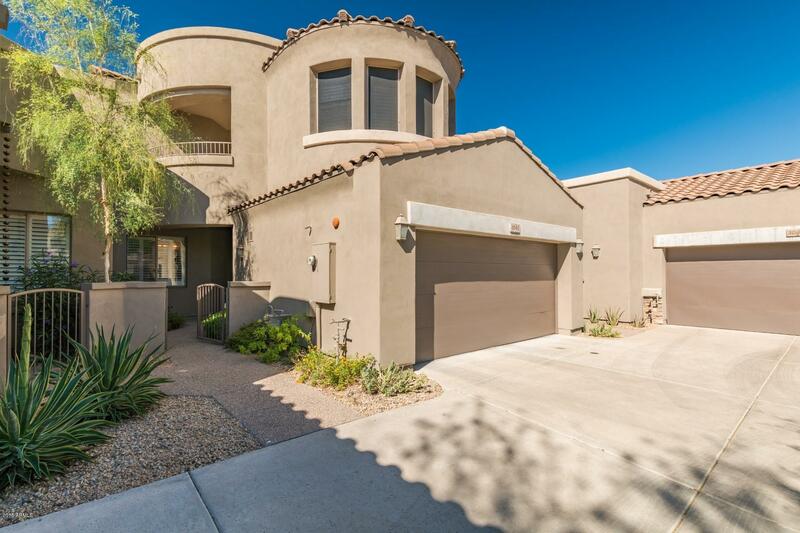 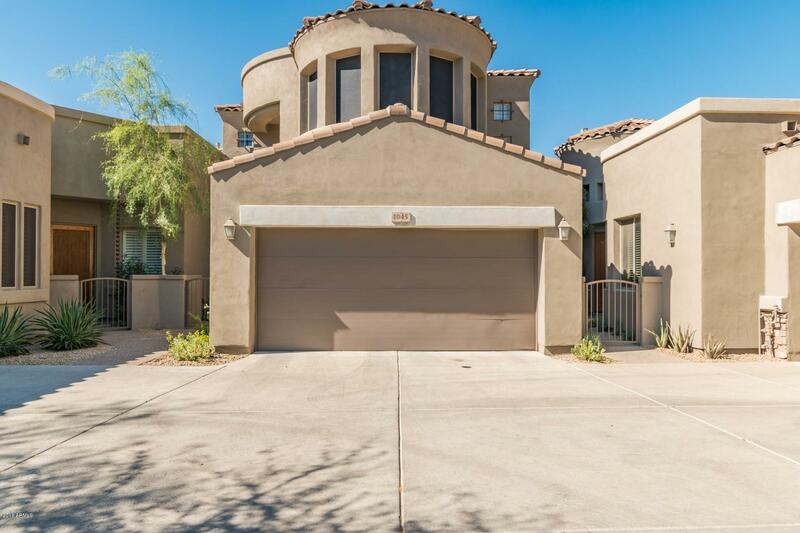 Perfect location on the Grayhawk Golf Club near DC Ranch Marketplace, restaurants, shops and proximity to TPC for the Phoenix Open. 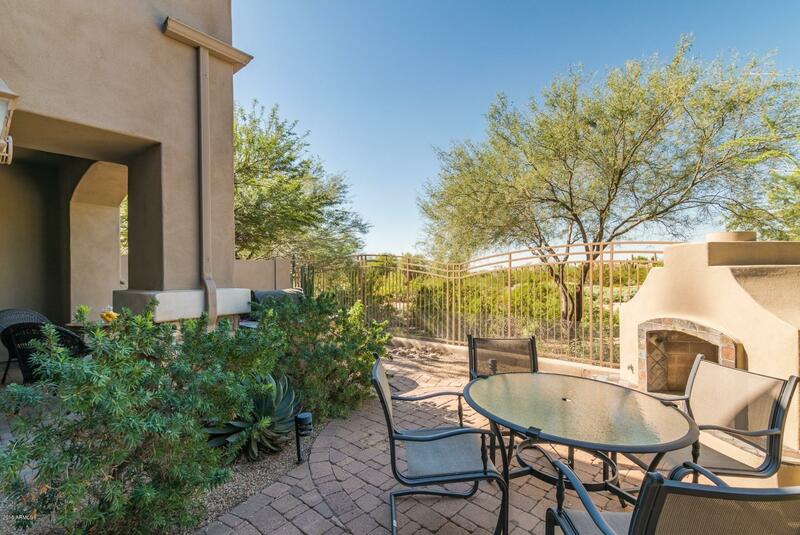 This townhouse is situated on the 16th tee of the Talon Course, which makes this a premium lot. 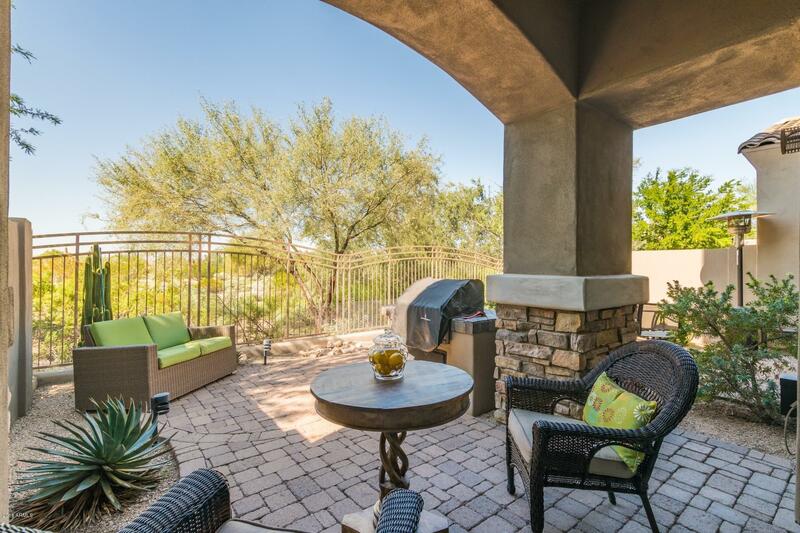 The backyard offers a serene view of the course, awesome sunsets and tranquil evenings near the outdoor fireplace. 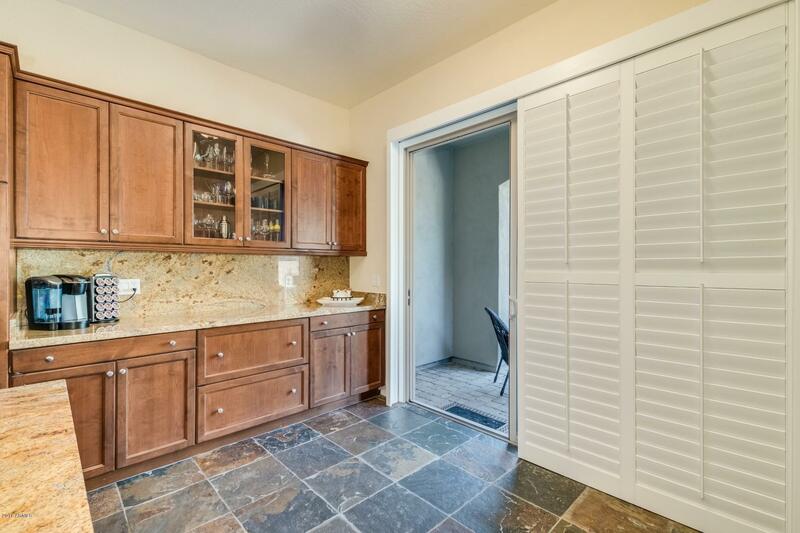 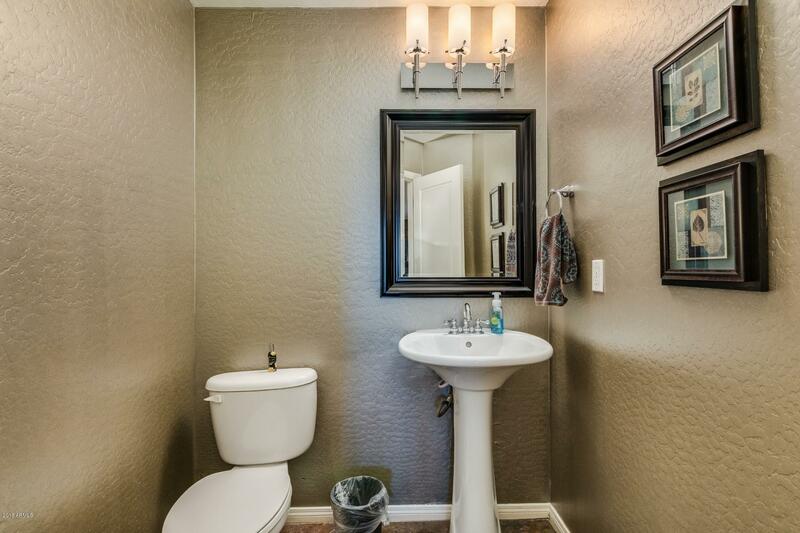 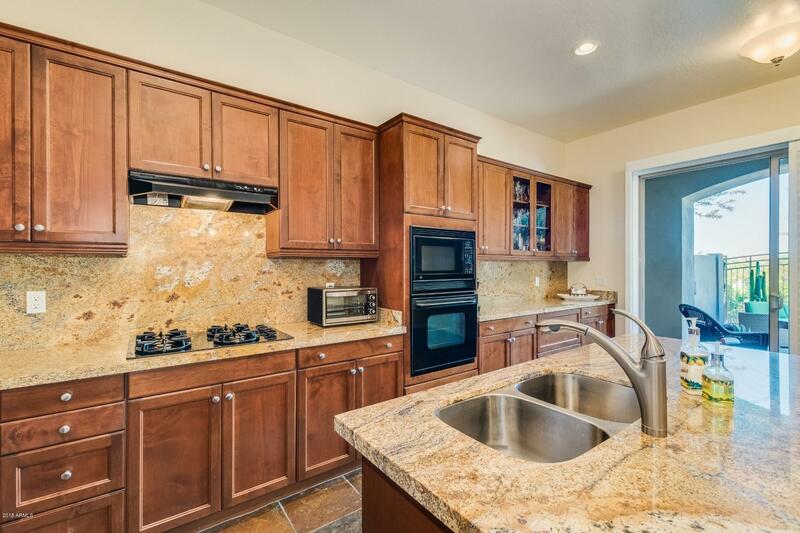 2,644 square feet of living space with an upstairs loft and three en-suites plus an extra half bath downstairs. 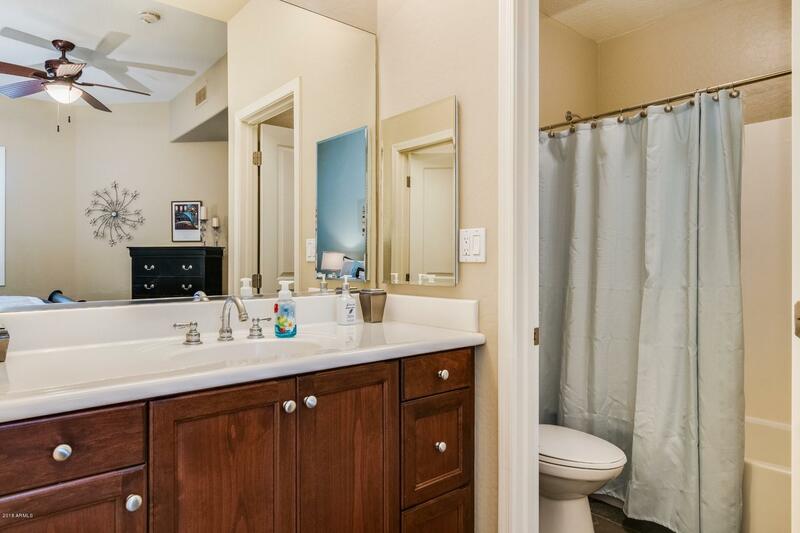 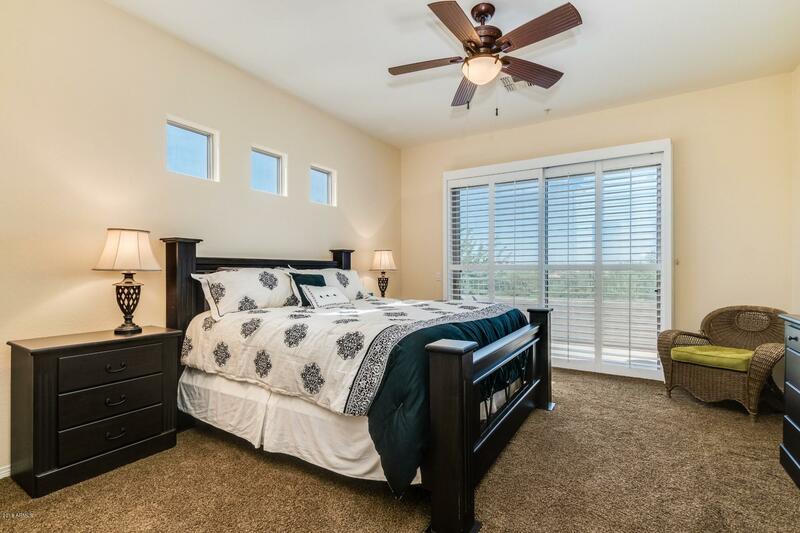 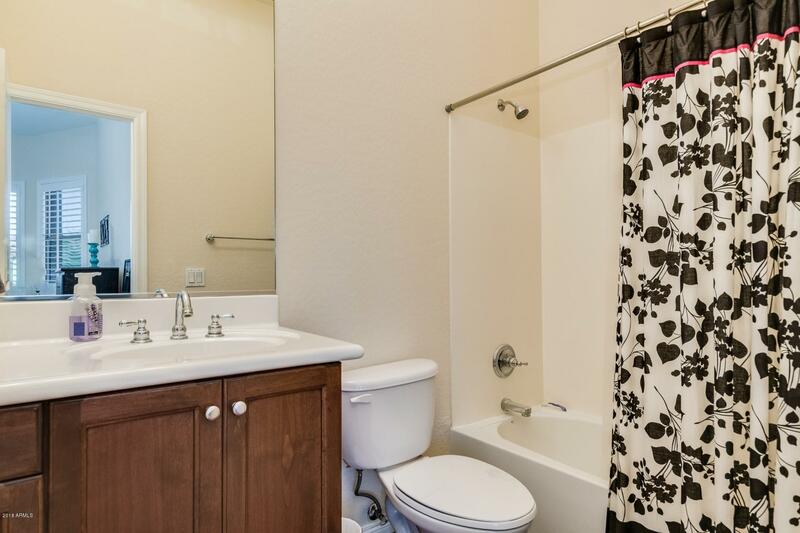 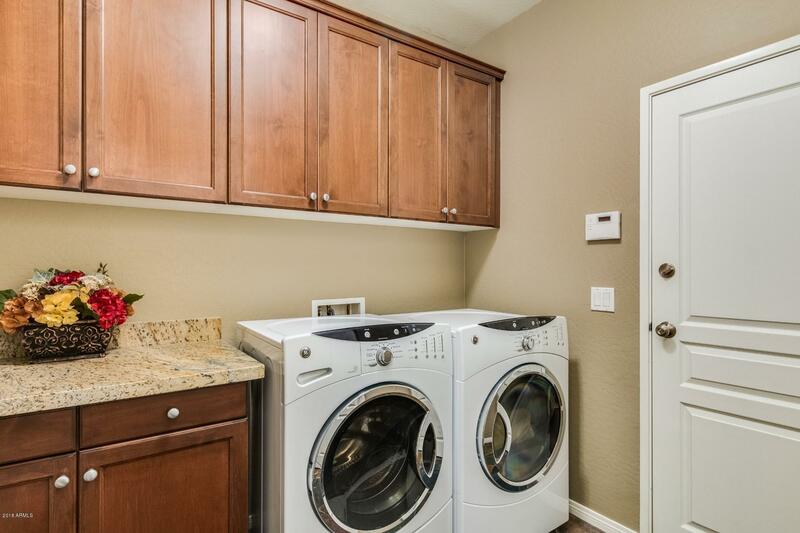 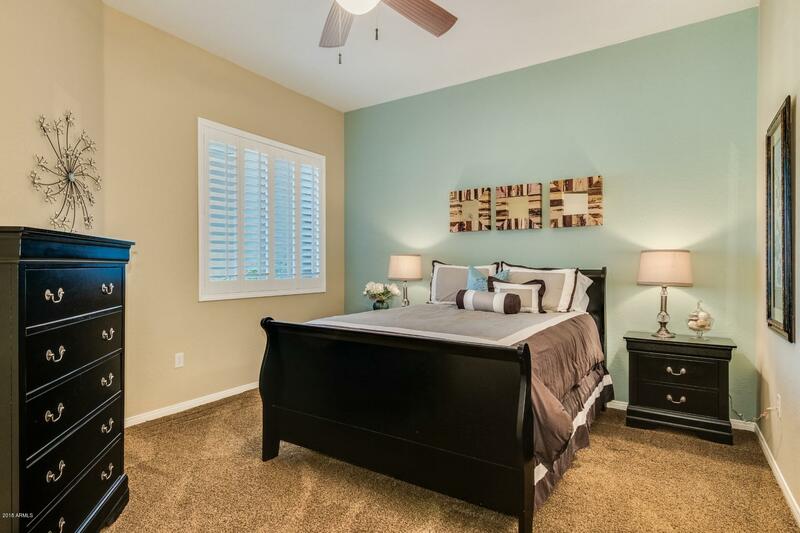 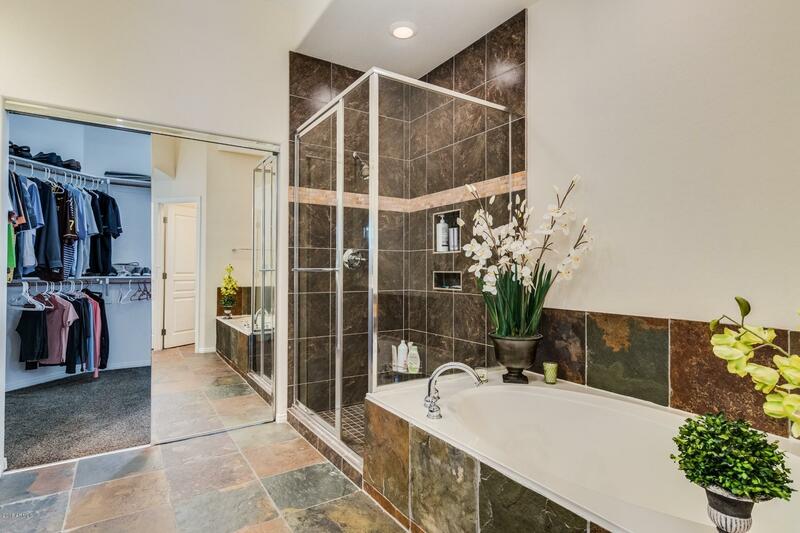 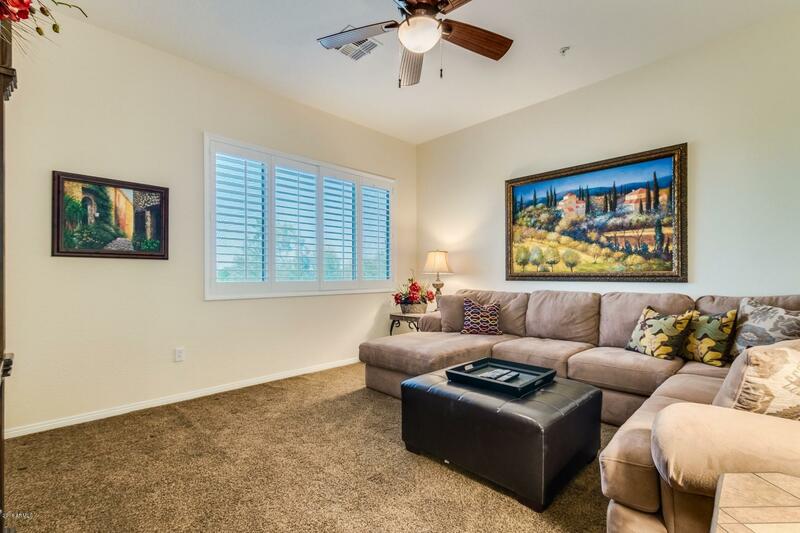 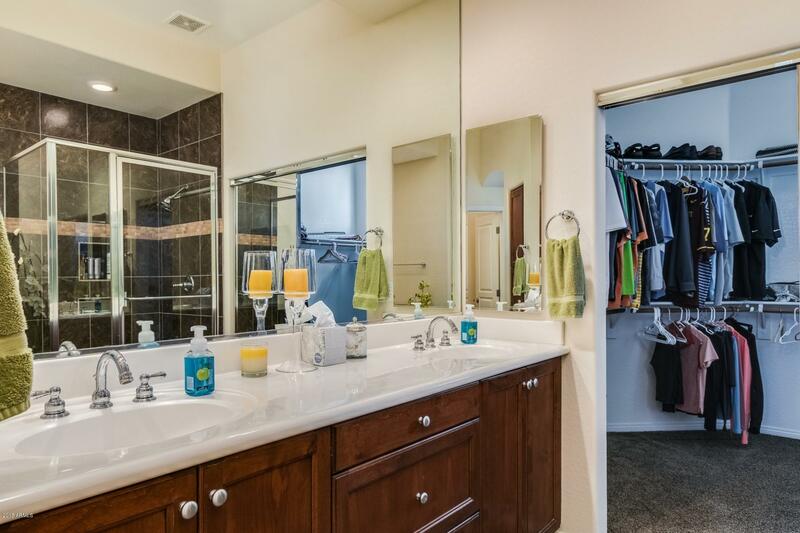 There is a main floor bedroom and full bath, perfect for visiting family and friends. 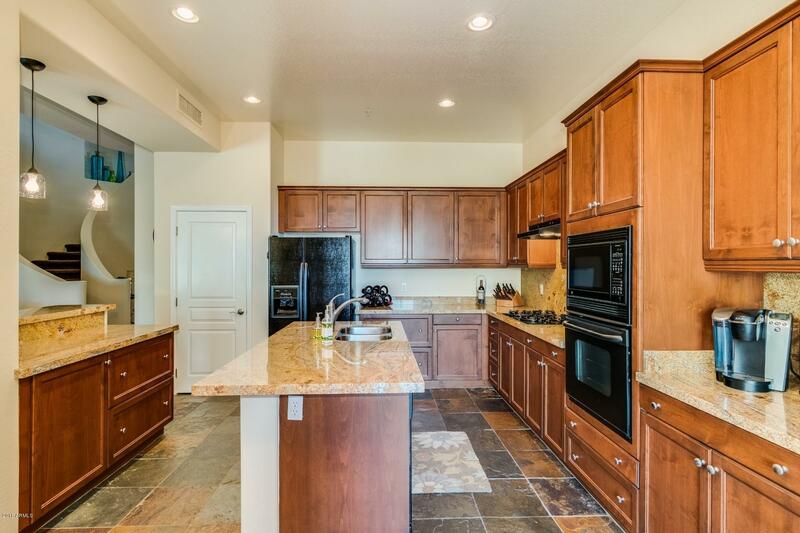 The kitchen opens to the family room and dining area, giving an open feel that leads to the outdoor space. 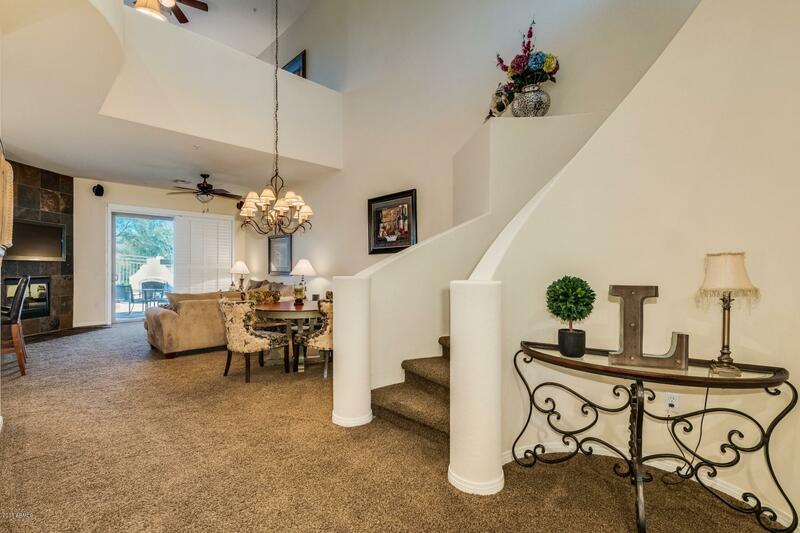 Two bedrooms upstairs have balconies. 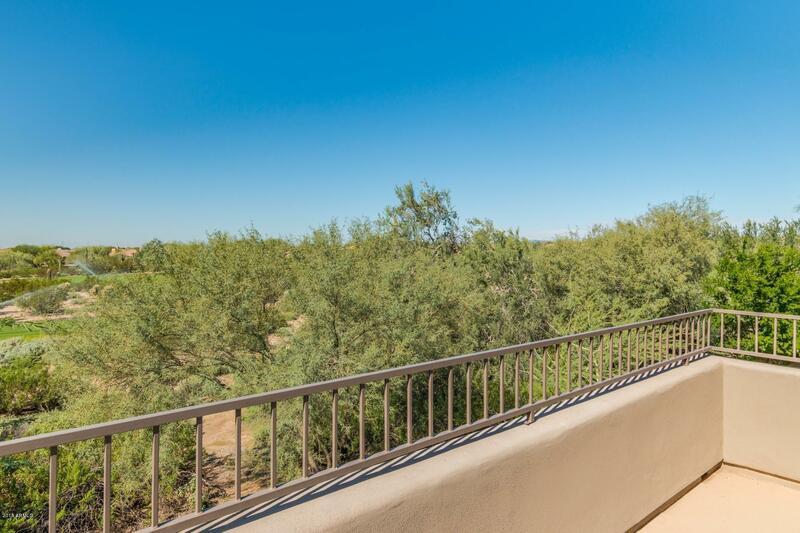 The Master bedroom balcony overlooks the golf course and offers beautiful sunset views year round.